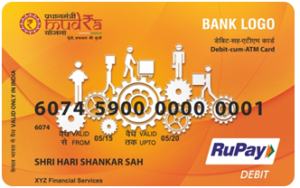 The Mudra Loan Yojana is designed to fund the micro and small businesses in India which are in desperate need for monetary aid for startup, establishment and expansion. The scheme has been restricted only and only to these micro and small business units because they form the informal employment sector of the country and are known for employing lion’s share of India’s working population. Kishor loan Between INR 50,000 and INR 500,000 Only businesses that have already started up but need financial aid for establishing. The applicant should be a vendor of vegetables and fruits. Organizations must be making profits for 3 consecutive years. Organizations must maintain a CRAR of 9% or more. Organizations must maintain NPAs of not more than 3%. Organizations must have INR 100 crores of net worth. That’s more or less the eligibility criteria for lenders and borrowers under the Mudra Scheme. I am ETHIRAJ.M,44 years old.I have the experience in Hotel Industry For 25 Years,And i would like to start a small business like an travel agent (Tours & Travels).Am i eligible to get a loan in Mudra sishu scheme. I need rs 10 lakhs loan to start a construction skill institute at bangalore . and 15 years in teaching/ training.